An Eastern Lubber grasshopper nymph. 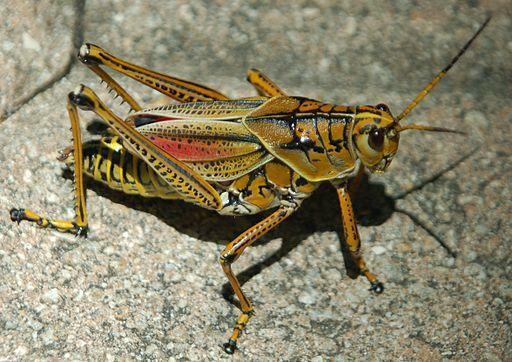 An adult Eastern Lubber grasshopper. The nymph of the Eastern Lubber grasshopper is almost black, with a yellow stripe down the back.